Consider Canada, where Volvo sales are down 16% through the first two months of 2015 (U.S. volume is up 0.3% this year); where the brand's market share tumbled to 0.23% (Volvo's U.S. market share is 0.32%); where brand-wide Volvo sales fell 62% between 2005 and 2014 (Volvo sales in the U.S. slid 54% during the same period). But even with a new V60 variant available in February, Americans registered only 725 Volvo wagons last month, just 18% of all Volvo sales: 339 V60s, 70 V60 Cross Countrys, and 316 XC70s. On its own, the S60 generated 1203 U.S. sales in February 2015. And the brand's two-car sedan lineup outsold the trio of wagons by a 1.8-to-1 count. On the other hand, Canadians registered precisely twice as many V60s as S60s in February. Yes, twice as many. Double the number. Two-fold. As many again. Granted, the figures were drastically, terribly, discouragingly low. 54 Volvo V60 sales were reported in Canada last month, but that 64% increase stood in stark contrast to the S60's 63% decrease to just 27 February sales. In addition to the 54 V60s, Volvo also sold 31 XC70s, a 30% drop. S80 sedan sales, meanwhile, quadrupled. To four. From one. 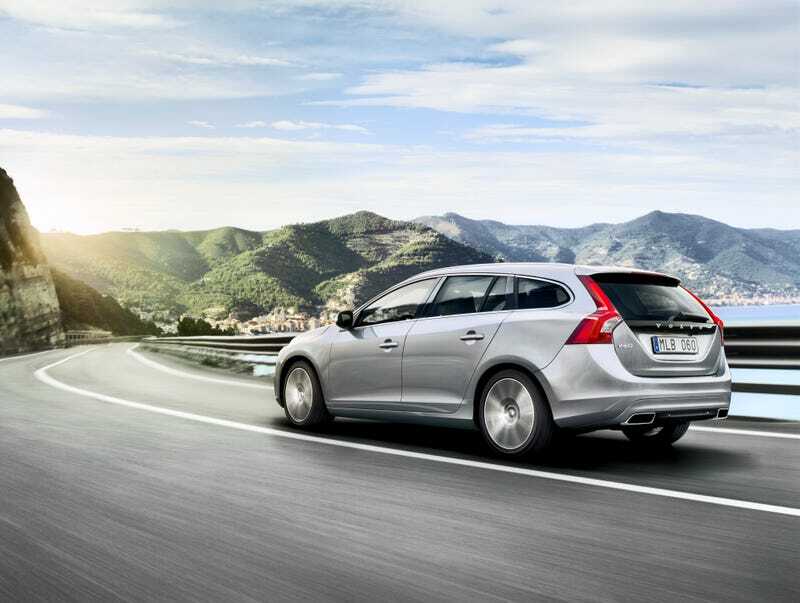 The V60 and XC70 accounted for 39% of Volvo Canada's volume in February 2015, 35% year-to-date. Is this ultra-small sampling size a sign that Canada is a more Jalop society than America? Could it really be so? Are Volvo wagons even relevant now that the company is relying on the new XC90 to completely reverse its North American fortunes? And should we probably not ignore the fact that Volvo Canada's best-selling model in February was not a wagon, but rather, the XC60 crossover?